A parliamentary report of 1777 recorded parish workhouses in operation in Chipping Sodbury (for up to 40 inmates), Westerleigh (22), and Yate (40). Frampton Cotterell had a parish workhouse on Church Road dating from around 1828. 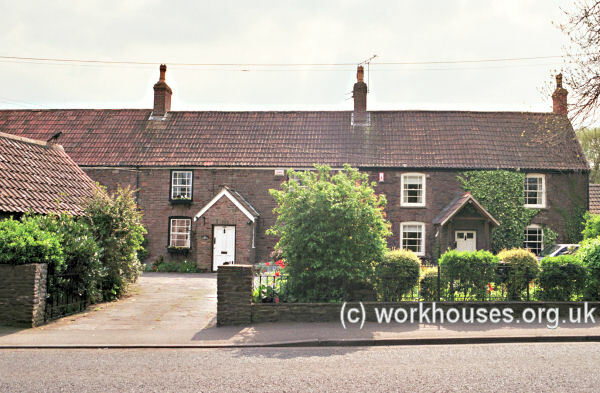 Wickwar appears to have had a workhouse on Frith Lane (formerly Workhouse Lane) at the south of Wickwar village. The property is now a row of cottages. Wickwar former workhouse site, c.1882. Gloucestershire: Abson-with-Wick, Acton Turville, Alderley, Cold Ashton, Dirham and Hinton, Dodington, Doynton, Framton Cotterell (2), Great Badminton, Hawkesbury (2), Horton, Iron Acton (2), Marshfield (2), Pucklechurch, Chipping Sodbury (2), Little Sodbury, Old Sodbury, Tormarton, Wapley with Codrington, Westerleigh (2), West Littleton, Wickwar, Yate. The population falling within the Union at the 1831 census had been 17,931 — ranging from Dodington (population 113) to Hawkesbury (2,182) and Chipping Sodbury itself (1,306). The average annual poor-rate expenditure for the period 1833-35 had been £8,921 or 9s.11d. per head. The new Chipping Sodbury Board of Guardians had their first meeting at Chipping Sodbury Town Hall on 31st March 1836. 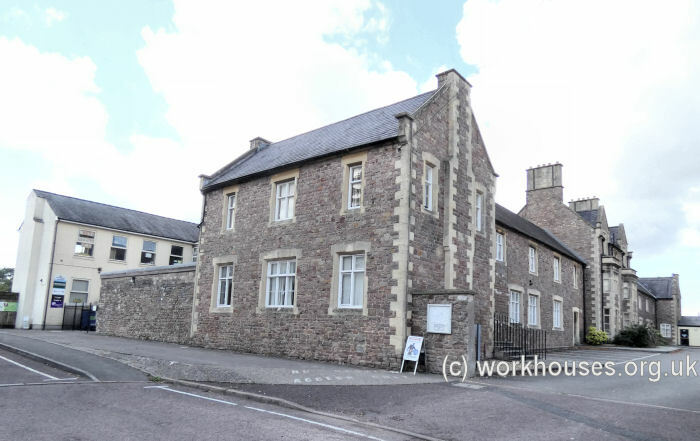 A review of existing workhouses within the union revealed that the Wickwar workhouse could accommodate 40 adults or 30 adults and 20 children. 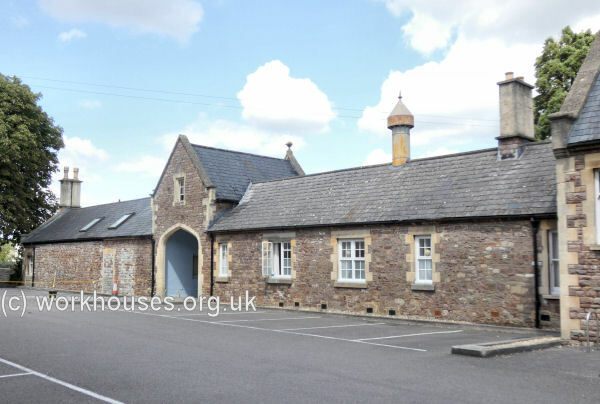 However, the board instead decided to use the nearer and larger workhouse at Hawkesbury for able-bodied, aged and infirm adults, and the Iron Acton workhouse for children. There was a pin manufactory at Iron Acton in which the children were employed. Within a few months, however, it was decided that these buildings did not have sufficient capacity and that a new workhouse should be built. A suitable site of just under four acres was eventually found at Yate. The plot of land, known as "The Whalley" was purchased from the Alway family at a cost of £456. The architects for the new building were the partnership of George Gilbert Scott and William Bonython Moffatt. In November 1838, their plans were submitted to the Poor Law Commissioners for building to accommodate 160 inmates. The builder appointed for the project was James Chappell of Bath. The building contract for £2,090 stipulated that the exterior of the new building was to be completed by 20th August 1839, and the interior by 25th March 1840. In fact, the building was ready for use in May 1840. Chipping Sodbury workhouse site, 1901. The building adopted one of Scott and Moffatt's typical designs. At the front there was a single storey entrance and administration block with a central entrance archway. To the sides would have been the porter's lodge, waiting rooms, receiving wards, and Guardians' board-room. Chipping Sodbury general view from the north-east, 2001. Chipping Sodbury entrance block from the north, 2001. To the rear was the main accommodation block with separate accommodation for the various classes of inmates. Chipping Sodbury main block from the north-east, 2001. To the rear stood a separate infirmary block. 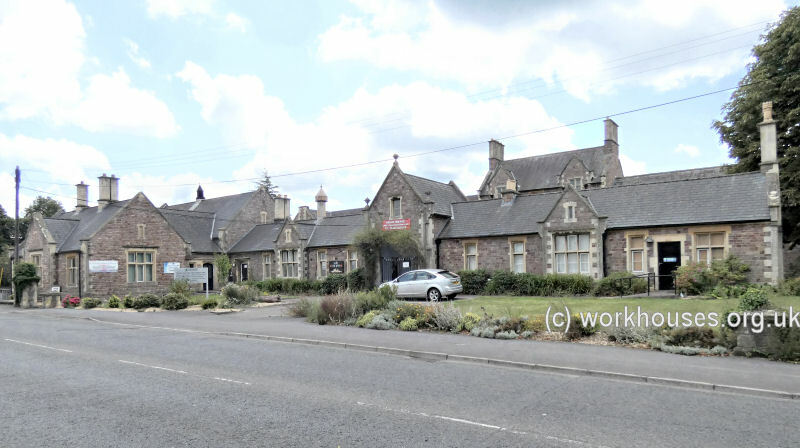 Chipping Sodbury infirmary block from the south-west, 2001. Various additions were made to the buildings over the years. One of the most substantial was in 1905-6 was a new board-room at north-east corner of the site, facing onto the road. 1914 - children were to be housed outside the workhouse and sent to local schools. 1921 - rotary hand washing machines were installed in the laundry which by now also had piped water and gas. 1922 - a piano was bought for the day room, and occasional lantern slide shows were put on. 1922 - the men's labour yard was closed. 1926 - the first car park was provided. 1927 - the vagrants' wards were closed and new nurses' quarters were erected in their place. 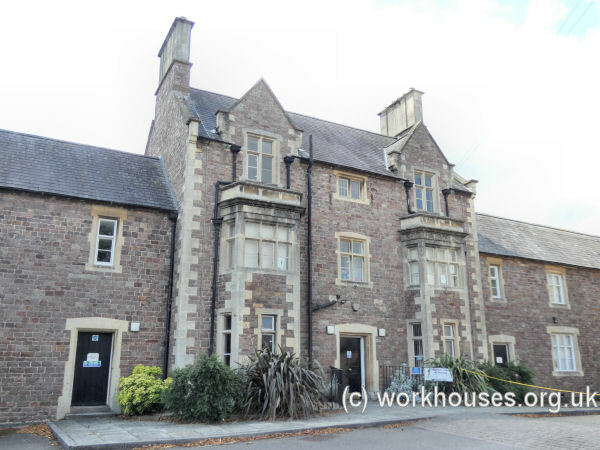 In 1930, the workhouse was taken over by the local authority and became the County Infirmary. During the Second World War, some of the buildings were used as an emergency hospital. After 1948, the rear buildings became the Ridgewood old people's home. The entrance block is now occupied by Avon Social Services. The other buildings are used as an adult education centre, and dance studio. Gloucestershire Archives, Clarence Row, Alvin Street, Gloucester GL1 3DW. Holdings include Guardians' minute books (1836-45, 1852-1930); Outdoor relief lists (1906-43); etc. Whispers from the Workhouse by Patricia Alcock (1992).